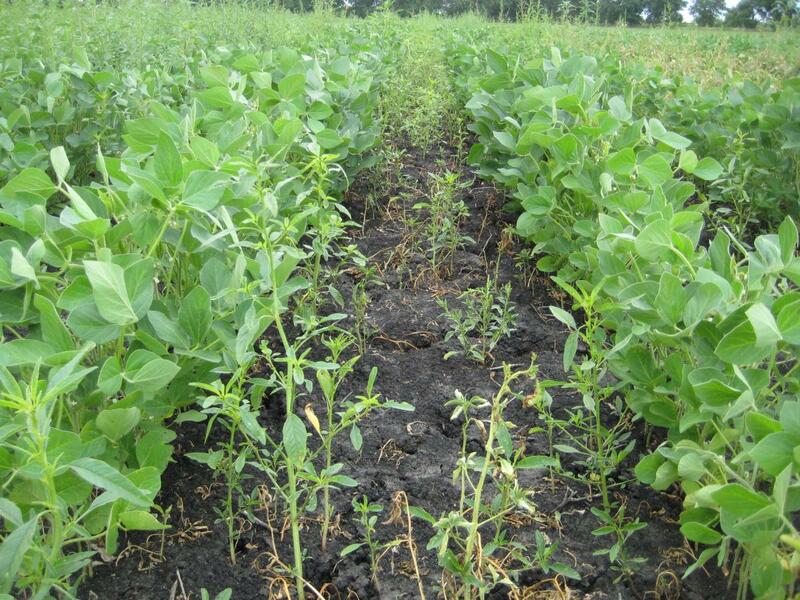 Post-emergence herbicide options for weed control in soybean are limited, particularly where glyphosate-resistant weeds are a problem. Six weed species in Nebraska have now been confirmed resistant to glyphosate and their populations are widespread. 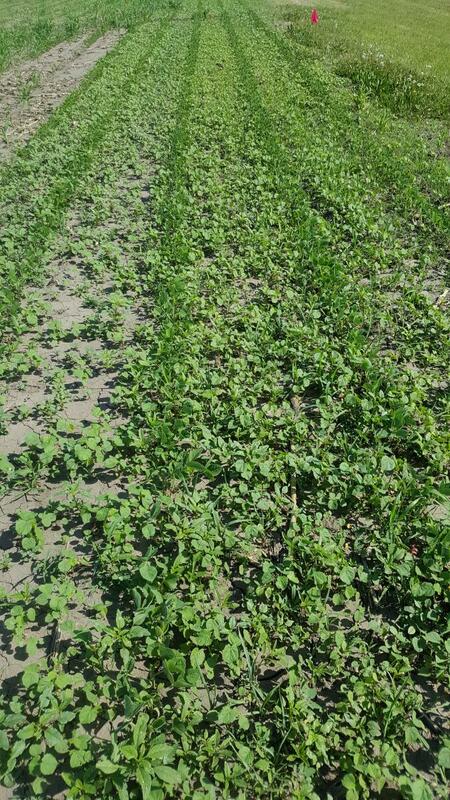 Summer annual weed species such as common waterhemp, Palmer amaranth, velvetleaf, and foxtail emerge at the same time as soybean and can be particularly troublesome in some parts of Nebraska. 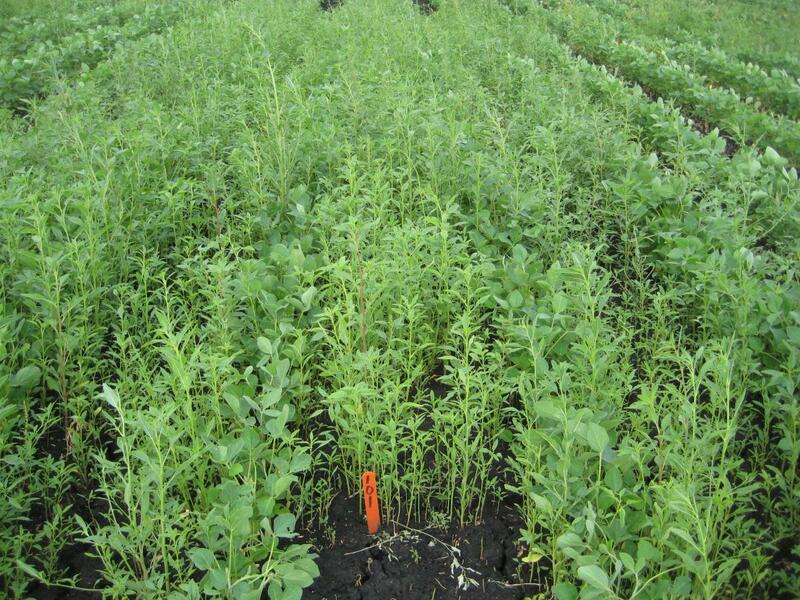 In addition, many populations of these weed species in Nebraska are glyphosate-resistant. Weed management programs using other herbicides in addition to glyphosate are needed to manage these populations. University of Nebraska-Lincoln research has shown that adding a residual herbicide helps keep fields free of yield-robbing weeds longer and improves yields and resistance management practices. For example, a two-year university study demonstrated season-long control of glyphosate-resistant common waterhemp when a pre-emergence herbicide with multiple sites of action was applied and followed by a post-emergence herbicide (Figure 2a-b). Figure 2a-b. Control of glyphosate-resistant common waterhemp in soybean without (above) and with (below) a pre-emergence herbicide with multiple sites of action. Roundup Ready 2 Xtend soybean, also known as Xtend soybean, first became commercially available for the 2017 growing season. 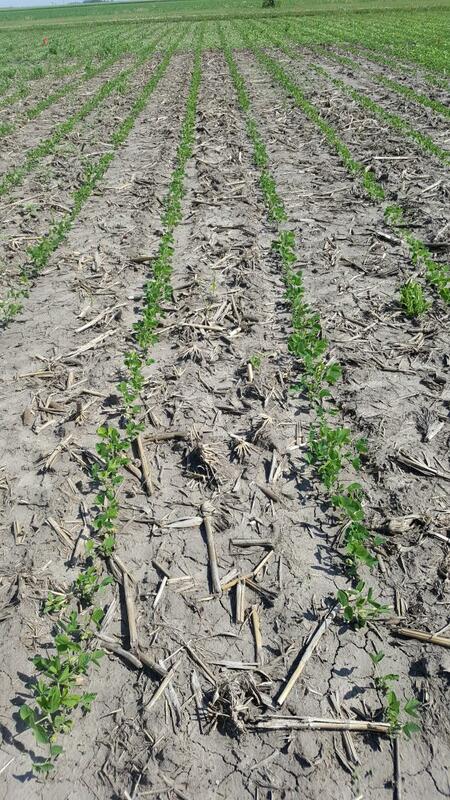 If you are planting Xtend soybean this year, you still need to consider applying a pre-emergence herbicide. Do NOT rely only on dicamba (XtendiMax, FeXapan, or Engenia) for weed control in Xtend soybean and restrict application to a single application, possibly pre-plant or early post-emergence. Relying only on a post-emergence herbicide may result in only partial weed control (Figure 3). Remember that pre-emergence, residual herbicides labeled in Roundup Ready soybean also can be applied in Xtend soybean. Relying only on a post-emergence herbicide may result in reduced weed control and more selection pressure on weeds. 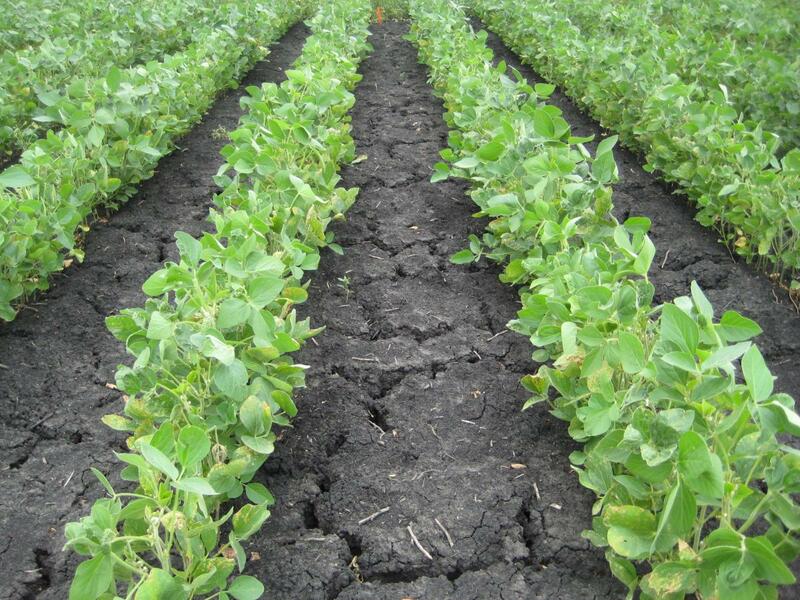 In short, application of pre-emergence, residual herbicide within two to three days after planting any type of soybean is the foundation of effective weed control.